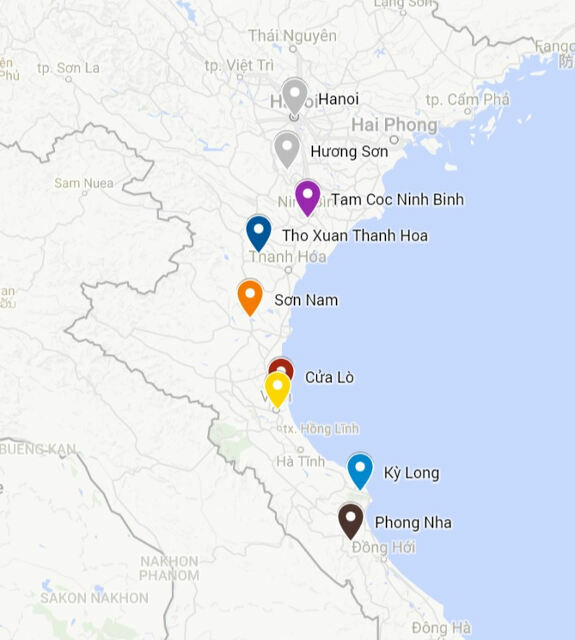 Our guide book has very little to say on Vietnam between Tam Coc and Vinh, and even the two pages on Vinh provide a pretty glum picture; "industrial town...frightful blockish architecture...few reasons to stop here". 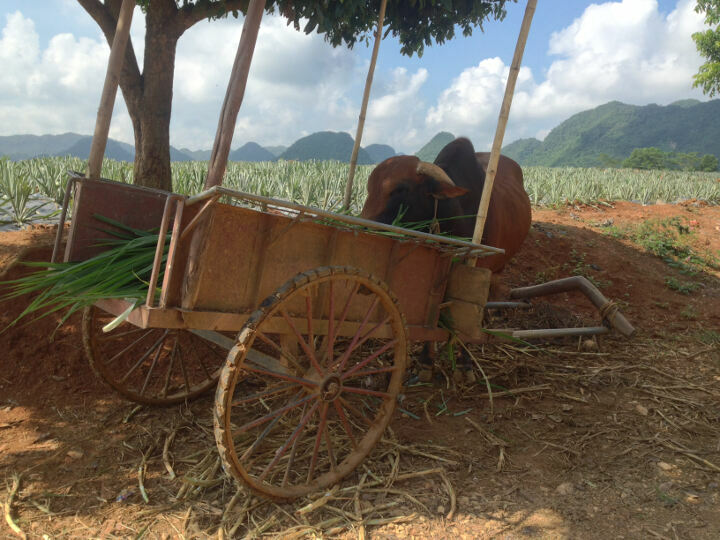 As far as we could make out, the next place on our journey south with something to see and do was Phong Nha; home to the worlds largest and most spectacular caves. Phong Nha is situated in Phong Nha-Ke Bang national park, which is approximately 250 miles south of Tam Coc; 5-6 days of cycling we reckoned. 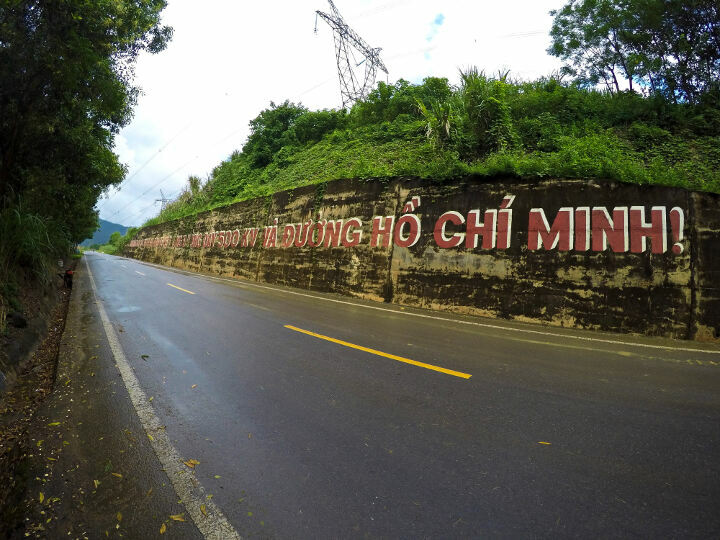 We decided to take an inland route along the Ho Chi Minh (HCM) highway, which avoided Vinh and would hopefully provide some fantastic scenery. 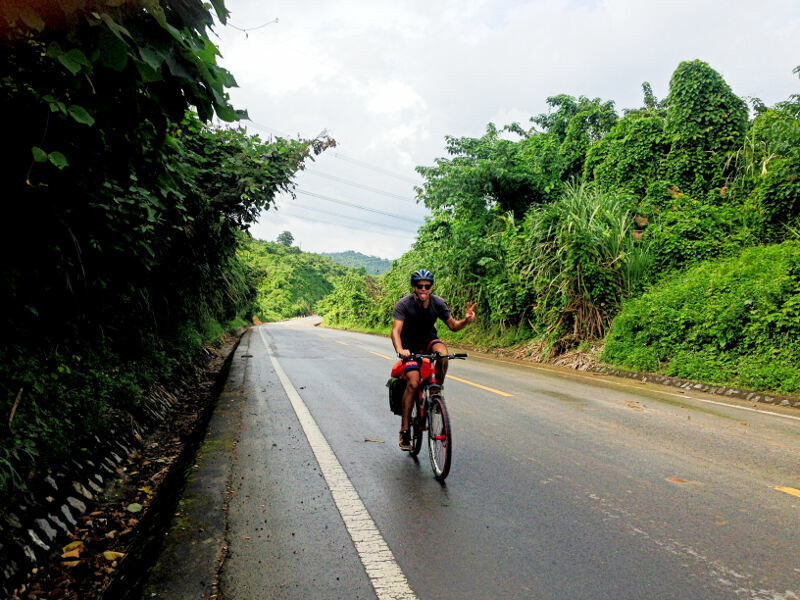 The first day of our ride to Phong Nha started great. 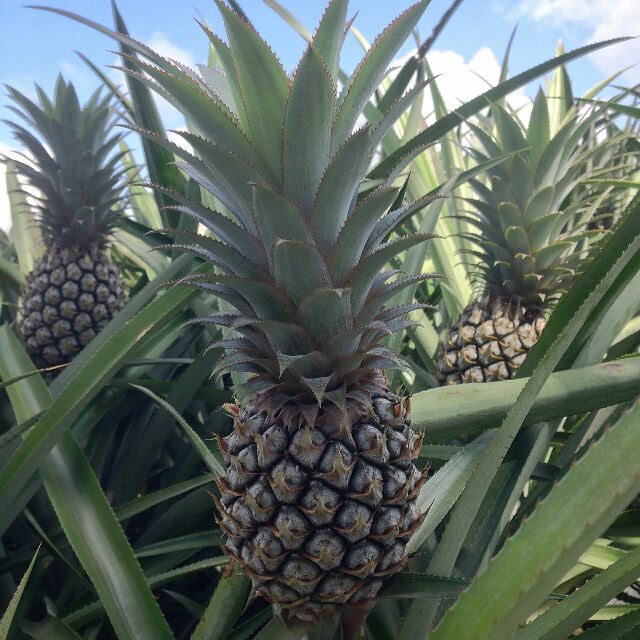 The sun was shining and our route to the HCM highway took us down rolling country lanes, through mile after mile of pineapple farms... it was beautiful. I had almost forgotten that my pannier rack was bodged on with cable ties, until, with an almighty thump, we dropped off a tarmacked road and onto a dirt track. The cable ties gave way and my loaded rack was left recklessly wobbling around. This wouldn't do. 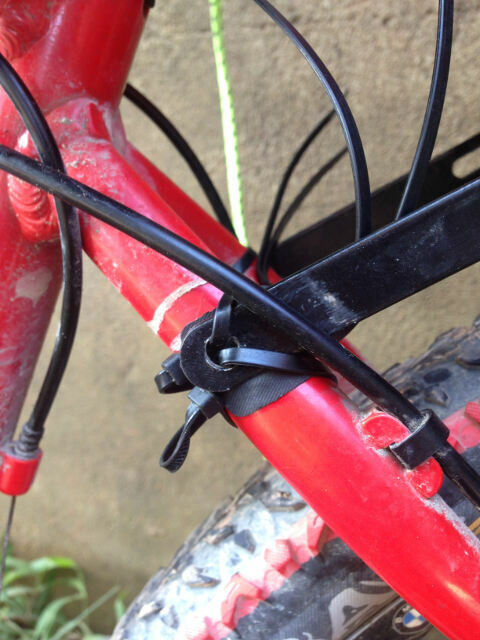 I reattached the rack as best I could with our last cable ties and we limped to the next village, Tho Xuan, 10 miles away. We don't have much to say about Tho Xuan, except, if you don't need to stop there, then don't. We almost got savaged by the 2 dogs at our grim hotel! Keen to get the heck out of there, we were up and out by 7am, and I was eager to get my rack fixed on properly. 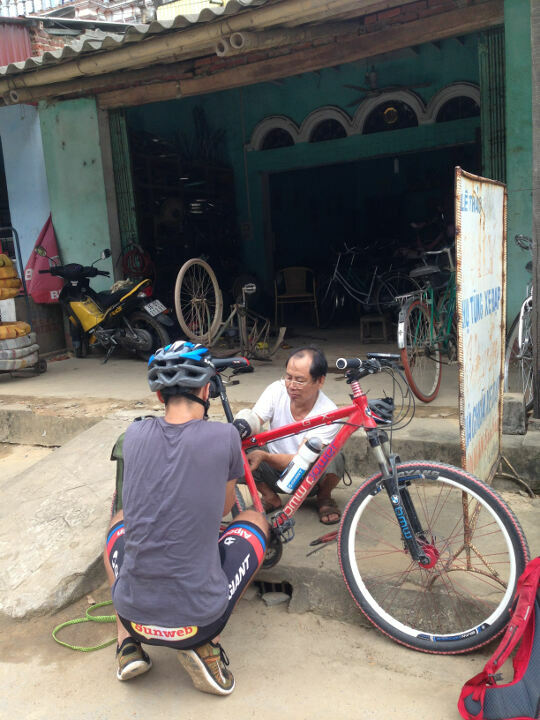 Luckily, bike mechanics are two a penny in Vietnam and we soon found a mechanic who had exactly what i needed...p-clips. 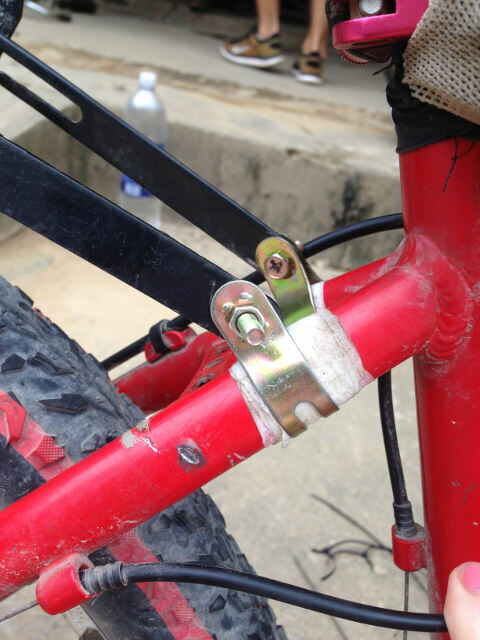 With the cable ties replaced and confidence restored, we soon reached the HCM Highway and started eating up the miles. The HCM highway proved to be a nice enough ride; smooth tarmac, reasonable traffic and undulating hills. However, we were really struggling to find decent, calorie rich food at the road side. 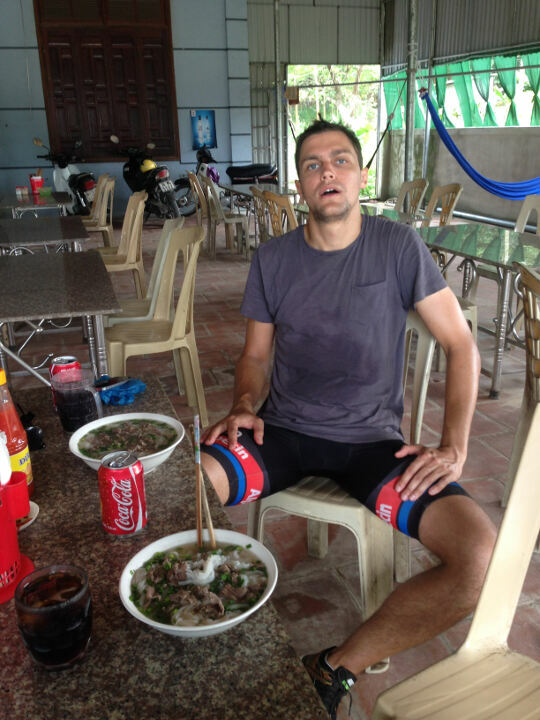 Most places only offered Pho, a Vietnamese staple of rice noodles in a watery broth; not great energy for a day of intense cycling. We were hammering about 50 miles a day and on the third day Hayley was feeling it in her knees... she's not used to touring! To top it off we'd been staying in cheap (£6/7 a night) guesthouses and they were grimy! Enough was enough! We decided to ditch the endless HCM highway and head to the coast for some 4 star R&R. We deserved it! So we headed for Cua Lo, a beach town just north of Vinh. We had some fun getting to our 4 star luxury... We had decided to follow a map.me cycle route which took us along the coastal road. The "road" was in fact a dirt track that was either crumbling into the sea below or covered in dirt from landslides off the cliffs above. What should have taken us 45 minutes ended up taking almost 2 hours. 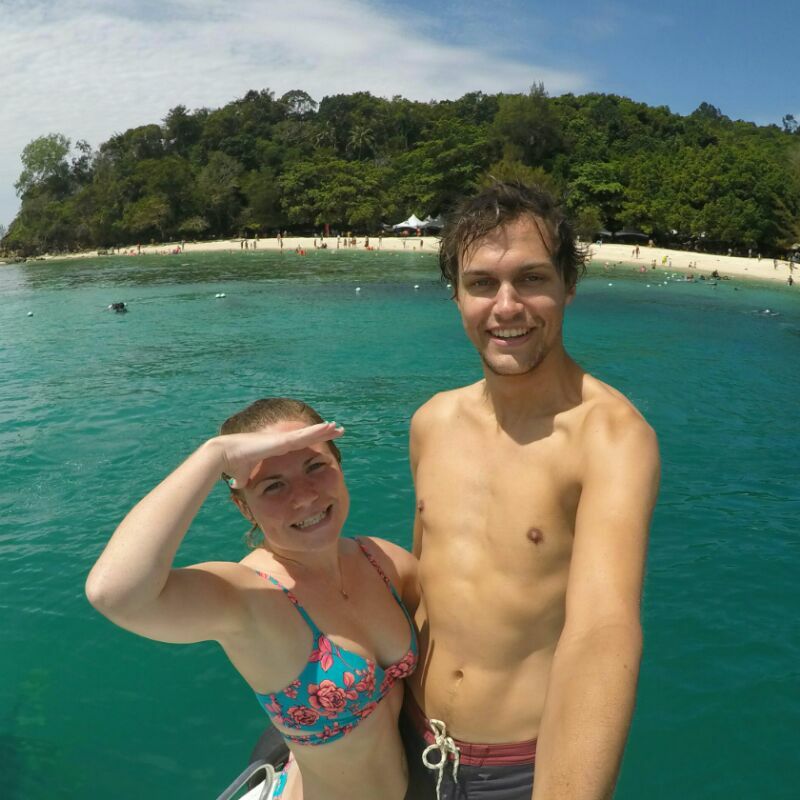 We turned up at our 4 star resort looking like two wet turds that had been dragged through a couple of hedges backwards. 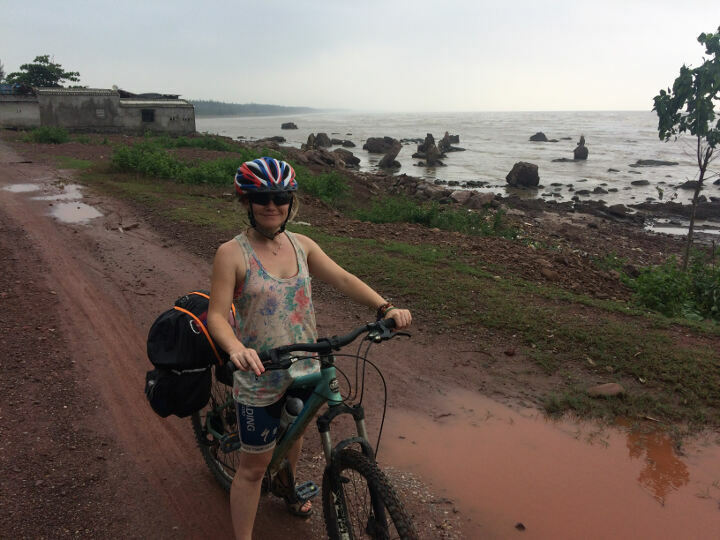 We rested up for a couple of nights and then set of for a little knee warmer of just 14 miles to the dreaded Vinh we had been trying to avoid. Vinh, however, was a pleasant surprise! Clean, friendly and with nice hotels! They even have a KFC! Jackpot. 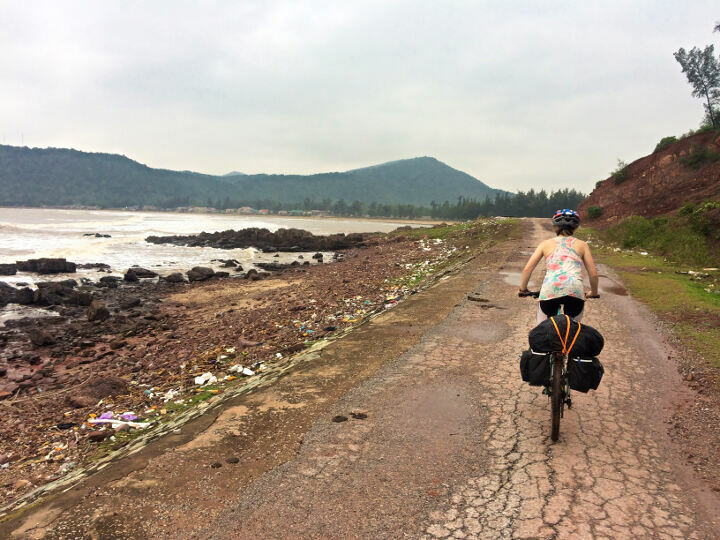 It took three days of easy 30-40 mile rides to reach Phong Nha straight down the A1 (the main coast road that Clarkson, Hammond and May travel along in Top Gear). The highway wasn't as horrendous we we thought it would be, albeit a bit monotonous. Other road users give you plenty of room and always let you know they're there by parping their hideously loud horns. No one can drive too fast because they've got to avoid the cows and water buffalo's on the road! One almost took Hayley out! 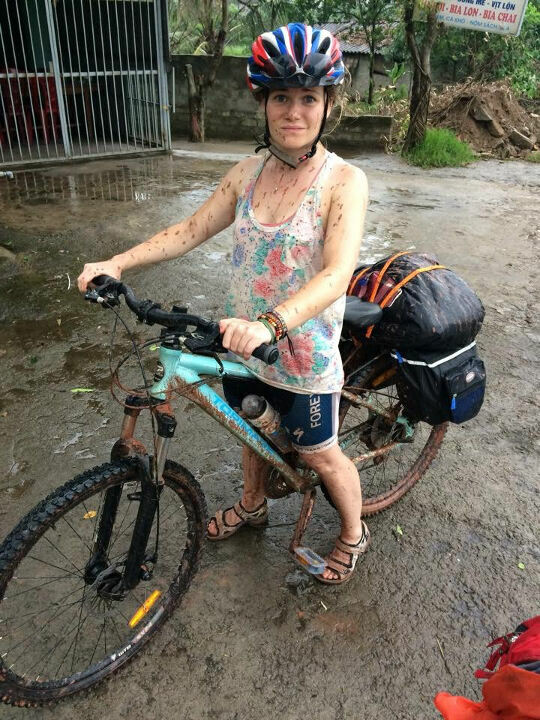 Vinh Moc Tunnels, punctures and lots and lots of rain.